Google also offers free or organic search results. To score it better your website must be search engine optimized. Search engines should be able to read your website. By investing in the optimization, you get long-term traffic to your website. The main elements of this are the technology behind your website, the source code and information (content) of the site. Our specialists analyze your website thoroughly to optimize for search engines it. 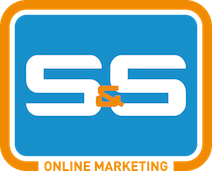 For website optimization, S & S Online Marketing is your partner. Contact us for a proposal! Through search engine optimization (SEO) let our experts rank your website as high as possible in the free Google search results. Investigations affirm that websites with the highest search results get clicked on. It makes sense to invest here. Because of this, the website gets a constant stream of visitors and because they come from free search results, clicks cost you nothing. By examining the source code, structure and internal linking structure in detail, we determine where your website can be improved. For example, we look at the bounce rate on a page, it shows how many people come in on a page and leave immediately. We can also show which pages people visit, not by research. The results we deliver in a comprehensive report. It allows you to control your partner for the website. Of course, we can also arrange for implementation of all improvements. The content information (content) of your website can be optimized, also called content marketing. Targeting keywords that your target audience uses, we apply the texts. So the keywords or keyword combinations appear in the right places in the text. We look for potential improvement in the texts for links, photos and videos. We optimize all content for search engines. This provides extra visitors for a long time against recurring costs. The optimization requires a one-time investment. You get the traffic below from the free search results. For more information or a quote, contact us via the contact form.